Two Church of Scotland ministers will feature in a new BBC documentary that follows prison chaplains as they give spiritual guidance and religious support to offenders in Edinburgh prison. 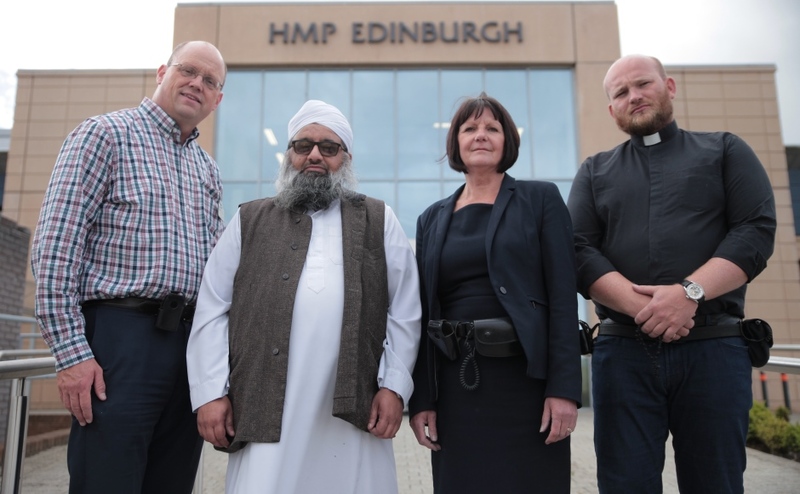 Pictured at their workplace are prison chaplains: Rev Bob Akroyd, (Free Church of Scotland); Imam Ishfaq Mohammed, (Muslim); Rev Sheena Orr; and Father Vasyl Kren (Catholic Church). 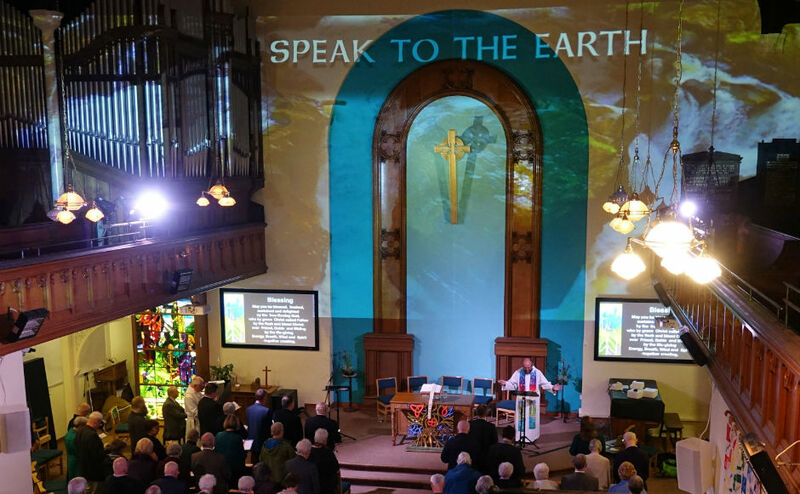 Rev Sheena Orr and Rev Keith Graham will share insights gained from their experience as part of the five-person chaplaincy team working inside HMP Edinburgh. The team also includes a Catholic priest, a Muslim Imam and a Free Church of Scotland minister. 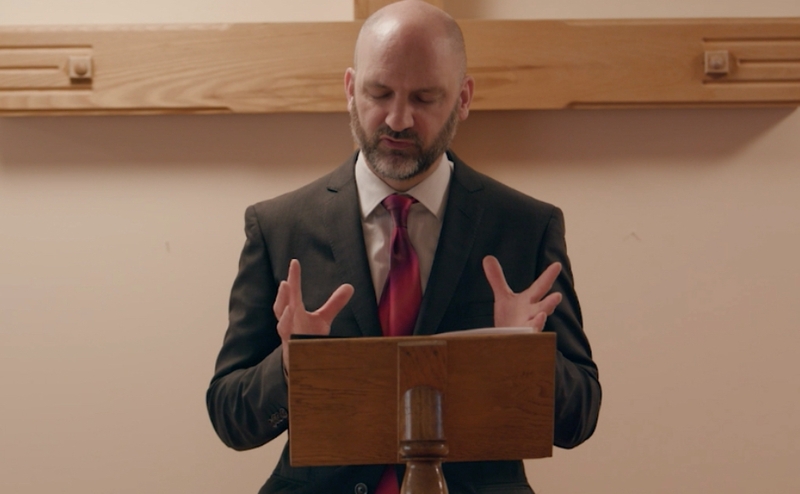 Set to air at 10:45 pm on BBC One on Tuesday 14 August, Faith Behind Bars will offer viewers a rare peek at how chaplains support the religious life of prisoners, including some of those convicted of very serious crimes. Sheena, who went into full-time prison chaplaincy soon after becoming a minister, said the programme will shed light on a little understood role. "The documentary will focus on the religious side of our work where we are helping people practice their religion, rather than the pastoral side where we support people of all faiths and none," she said. "You will hear people say how encountering faith and religion in prison has changed them. "It's a unique insight into the lives of prison chaplains and the people we support." 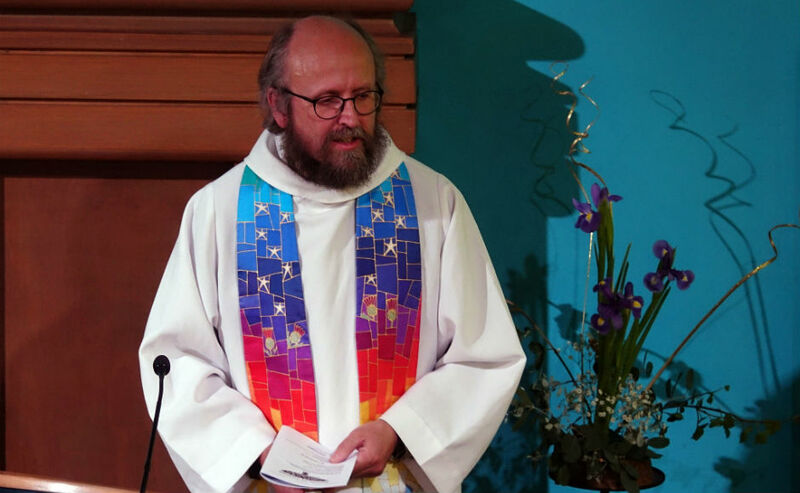 Keith, who is the parish minister at Murrayfield as well as a part-time prison chaplain, says he joined the team when he was the minister for Stenhouse and the prison fell within his parish. 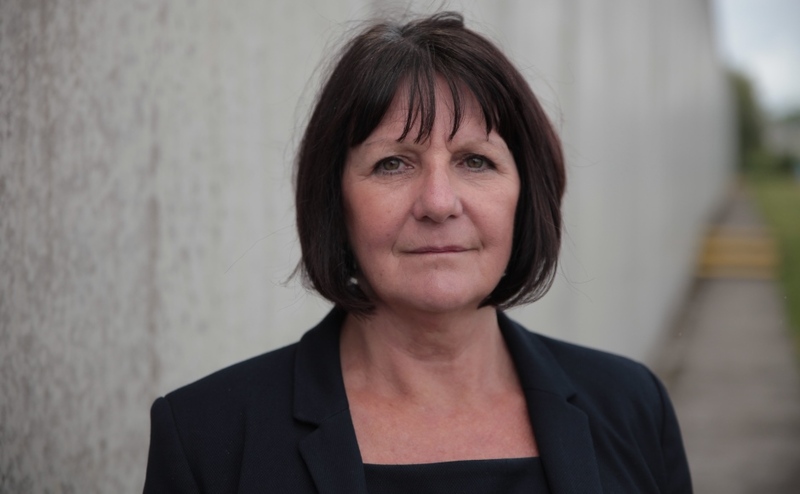 "From earlier in my career I had a background in supporting people struggling with drug addiction and homelessness and many of them were in and out of prison." he says. "So I felt it was a good opportunity to use those skills. "Now I am at Murrayfield, which is a very different congregation, but I find that my chaplaincy work gives me a rounded experience and it centres me quite well. "In the prison you are working with a team of people and with lots of staff, and no two days are the same. I only go into the prison on one day a week but I like the variety it brings."